Most startups that fail do so for a multitude of reasons. 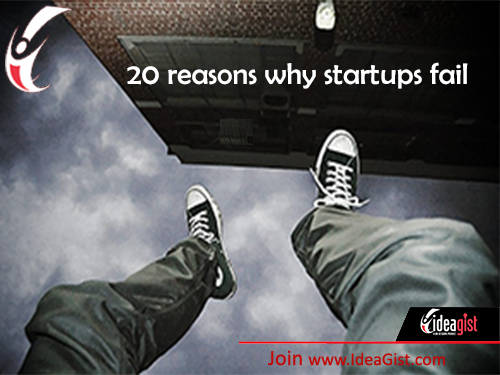 Knowing the whys and hows of startup failure can help entrepreneurs plan ahead for success. From deficient product-market fit to team member conflicts, new data from CBInsights analyzes 101 startup failures post-mortems and breaks down the top 20 reasons why startups fail. After examining 101 startup postmortems, CBInsights discovered that there is no single reason for startup failure, but they did identify a pattern to each failing startup’s story. CBInsights is a data aggregator that utilizes a machine intelligence platform that catches every private company financing and angel investment database. Get real-time information on startups, VC firms, angel investors, and transactions in the United States. Spot new deals, sales leads, prospects, and unlock the playbooks of competing venture capital.